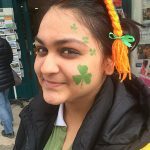 Where to study Ireland Sports and FUN! There’s nothing better than playing a sport you love, meeting a bunch of new people and just having a straight up ball, all at the same time! And I was lucky enough to have the opportunity to do so. I recently attended the UCD Blitz Volleyball tournament and it was just such a wonderful experience that I’d like to share with all of you! My team consisted of extremely adept players who were an absolute pleasure to compete alongside! And might I say, what a multicultural team we were! Not only our team, but the tournament itself was filled with people from all around the world! Spain, Romania, Italy, Greece, America, Germany, you name it! This was just an added pleasure to the all-round experience I had at this event. It was a three day meet, with serious matches in the morning, followed by very enjoyable nights out with everyone in the tournament! The best of both worlds, one might say! The level of competition at this event was very high, to say the least! My team certainly did not win any positions, but that didn’t stop us from having a great time! I had the pleasure of meeting so many people from different places all over the world. What I value most, however, is the developed volleyball skills that I obtained just from playing matches with such competent athletes! We were tested to our limits, and it definitely brought out positive results. The university scene in Ireland really is one to be treasured, I have come to realize. There are a multitude of opportunities available to a student, no matter what activity they want to take up. And by using these opportunities, not only do you improve yourself and your skills, but you meet the most friendly and easy going people who are more than up to showing you a good time!